| NEW MUSIC: INNERSPACE HALFLIFE "TEARDROP FROM NEBULA 1121+22"
There’s something inherent in machine music that instinctively connects to the otherworldly qualities of the cosmos. 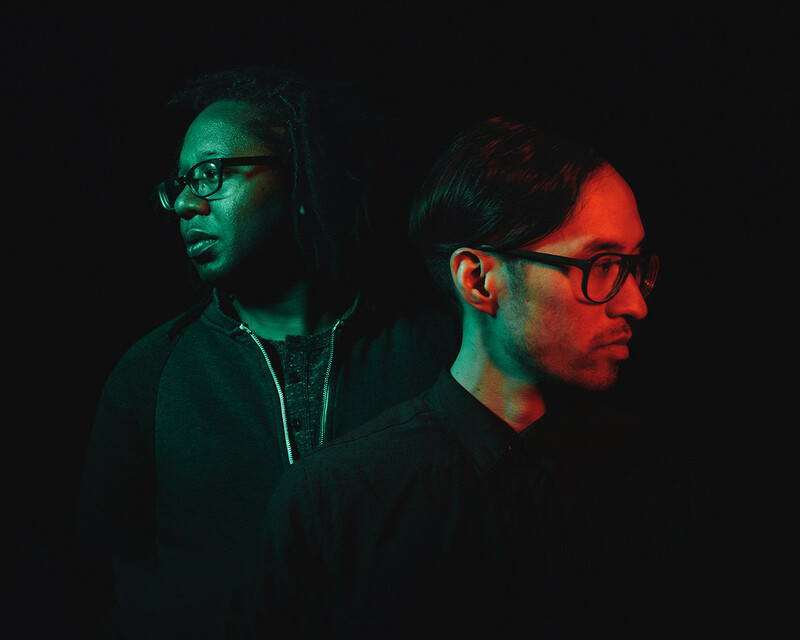 Since techno’s birth, its bond to science fiction has never weakened, and even for Chicago duo Innerspace Halflife, who draw as much from Chicago’s dance music roots as the Motor City’s, the pull of some distant space has ensnared them. Gathering momentum on an international scale, Hakim Murphy and Ike Velez are already well-respected for their exploration of rough-edged, barren soundscapes as Innerspace Halflife, with the better part of their catalog populated with tracks that boast little more than vintage drum machines, thick bass lines and atmospherics gone adrift. With the pair’s latest, Astral Traveling, just out on Murphy’s Synapsis Records, Murphy and Velez add a moving part or two to their palette of sound but only in the service of further embracing the existential and extraterrestrial themes they are prone to explore. An extension of sorts of last year’s Wormhole Transmissions, Innerspace Halflife’s latest draws on heady concepts like the universe, a collective consciousness and human perception to add intellectual heft to an already deep sound. Highlight “Teardrop from Nebula 112” leads the new record, setting the tone immediately with twinkling synths that shoot holes through delicate ambient tones and dance across an otherwise muted thump and scattered rimshots. It’s the techno version of Carl Sagan’s “star stuff” and as ripe for reflection as it is echoing through a loft party. Innerspace Halflife’s quintessential stripped-raw aesthetic is as present as it ever was on the track—and the rest of the cuts that make up the record—but there’s a new distinctness here. Murphy and Velez feel more comfortable in the improvised anti-gravity they create for themselves, turning out deep and trippy underground fare that builds on the jacking roots they are so indebted to without as much emulation. Innerspace Halflife has discovered a more mature voice as it floated away into the cosmos on Astral Traveling, and it’s well worth tagging along.